Thread by @SethAbramson: "(THREAD) Per NBC, Trump has told friends he'd be in trouble if Paul Manafort "flipped" on him—clearly signaling that Manafort can incriminat […]"
(THREAD) Per NBC, Trump has told friends he'd be in trouble if Paul Manafort "flipped" on him—clearly signaling that Manafort can incriminate him and get him impeached. By that measure, today's events have brought Trump closer than ever to impeachment. Hope you'll read and share. 3/ In common and legal parlance, to "flip" on someone is to agree to testify against them in a criminal case. A current defendant like Paul Manafort would only flip on someone if they had sufficient incriminating evidence to offer their prosecutor that they could cut a plea deal. 4/ So when NBC reported—3 weeks ago—that "Trump is telling friends and aides in private that things are going great for him [because] he's decided a key witness in the Russia probe, Paul Manafort, isn't going to flip and sell him out," they were saying he's incriminated himself. 5/ NBC put the word "flip" in quotes—meaning Trump confidants say that's the word he's using. That's not a word Trump or anyone would use for the only other possible fear that Trump could have been referring to with Paul Manafort—that Manafort will make up an incriminating story. 6/ While one could use a phrase like "stab me in the back" to describe a criminal defendant who makes up a story about someone else to save themselves, to "flip" is to make a "proffer" to the prosecutor to the effect that you can offer evidence to incriminate and convict another. 2. The two kept speaking by phone for at least six months after Trump fired Manafort. 8/ Let's focus on the second item. It means Trump kept up a clandestine relationship with Manafort for half a year after he publicly disavowed him. It also means that he was speaking to Manafort long after it had become clear that Manafort would be a witness in the Mueller probe. 9/ Indeed, because Manafort worked for Trump for six months (not the three Trump claims) for *free*, it's not at all clear that his role in Trump's life changed much after he was fired in late summer 2016: he was an unpaid advisor to Trump both before and after his sudden firing. 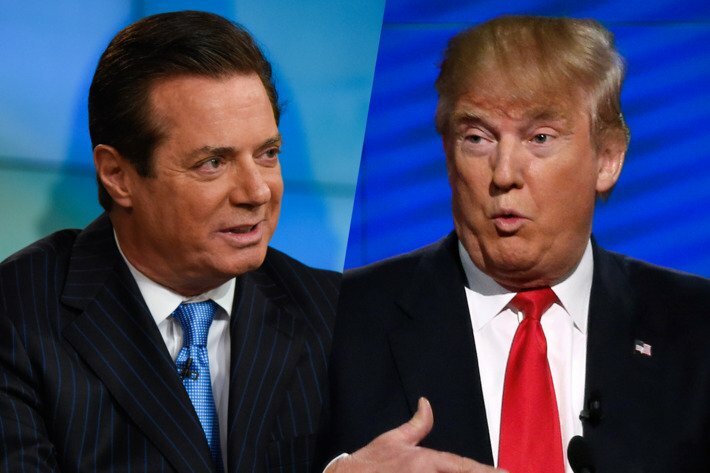 10/ My point is that there's every reason to believe—as Trump has done this with *other* Mueller witnesses—that a) Trump believes Manafort can incriminate him, and b) he's found ways to stay in contact with Manafort, so that Manafort understands he can expect a pardon from Trump. 11/ If you doubt this, look at the question via a different angle: what *public* information could Trump *possibly* be looking at to so smugly—with such certitude—be telling confidants there's *no* chance that Manafort will flip on him? *All* the *public* evidence says otherwise. 12/ As for the public evidence in the Manafort case, here's what we know: with the superseding indictments Mueller plans to bring soon, Manafort's *easily* looking at spending the rest of his life in a federal prison and running out of money to pay his attorneys long before then. 13/ His main co-conspirator—his deputy, Rick Gates—will soon get a plea deal, meaning that he's already told Mueller and his agents, in *detail*, of *every single criminal act he ever saw Manafort engage in*. Gates' assistance appears to have led to another charge and plea today. 14/ He (Manafort) is facing the most talented team of federal criminal prosecutors assembled for the purpose a single criminal investigation in the last half-century. Also, not for nothing, Manafort is—as Manafort knows—100% and unalterably guilty of everything he's charged with. 15/ Manafort also knows that Mueller can basically flip any witness he wants (assuming they're Americans currently on U.S. soil; foreigners are harder for Mueller to access). So it's not clear what in the *world* would make Trump or Manafort optimistic about Manafort's chances. 2. Fire Mueller (and then, likely, get impeached). 1. Wait for Trump to pardon him. 1. Trump's confident Manafort won't flip. 17/ Add to those facts Trump's long relationship with Manafort, prior clandestine contacts with him, and demonstrated willingness to tamper with witnesses in a federal criminal investigation, and I'm telling you anyone in Mueller's shoes would assume Trump has contacted Manafort. 18/ But there's another thing: if Manafort knows Trump, he knows Trump can't be trusted. He *certainly* knows he can't trust Trump with his *life*. And he *also* knows he's a primary Mueller target—so he can't "flip" for a deal unless and until he can *deliver Trump to Mueller*. 1. There's a good chance Trump is tampering with Manafort. 2. Trump thinks Manafort can incriminate him. 3. Manafort doesn't trust Trump. NOTE/ In Tweet #8, I deliberately referred to what was at the time the "Comey probe" as the "Mueller probe"—simply not to confuse people. Trump and Manafort last spoke in February 2017, and Mueller wasn't appointed until May 2017. But Mueller's probe is a continuation of Comey's. PS/ Never forget that—after it was clear Flynn was under criminal investigation—Trump called his former advisor in April '17 to tell him to "stay strong." He also leaked to the press that he'd wanted to rehire him. To think Trump would work *less* to keep Manafort close is naive. 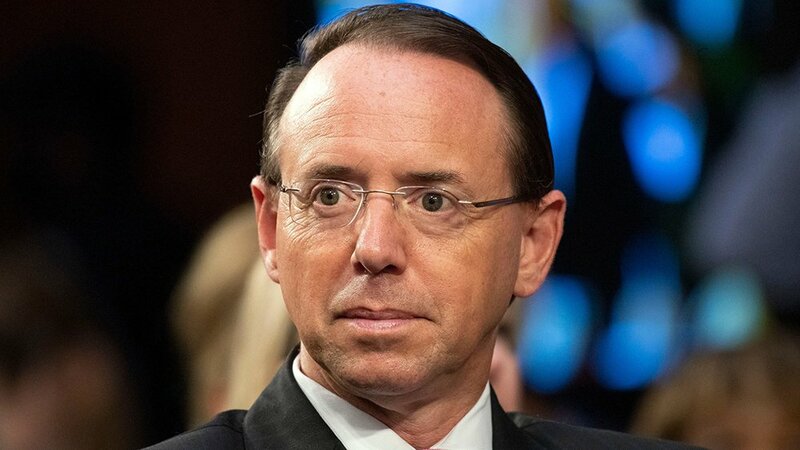 (THREAD) Yesterday's NBC reporting about Rod Rosenstein's impending departure from DOJ, and what it may mean for the Mueller investigation, already seems to be coming apart at the seams. In this thread I take a look at why yesterday's breaking news was neither breaking nor news. 2/ Williams' lede: "Rosenstein plans to step down after Mueller finishes his work." But in the fourth graf, he obliterates that lede: "But others familiar with his thinking said there’s no firm timeline and Rosenstein would work out a departure plan once the new AG is confirmed." Per CNN reporting just now, William Barr before today told the White House that he would be bringing in his own Deputy Attorney General if confirmed, so the news that Rosenstein will step down if Barr if confirmed should not have led to *any* of the hysteria it seems like it has. 2/ Rosenstein previously said he'd serve two years—so his departure around now isn't surprising anyway, and (in fact) will make it easier for him to coordinate with Mueller as a witness rather than a supervisor. Too many people are reading way too much into his pending departure. 3/ I'll go further: Rosenstein is friendly with Barr, used to work with him, and recommended him for the Attorney General spot—all of which indicates that his comfort level with Barr taking over the Mueller probe has *nothing* to do with an assessment of when that probe will end. NOTE: Deripaska calls himself "one with the State [Kremlin]." @ZevShalev @TheAtlantic 3/ A reasonable conclusion: after he and Flynn left the room the CIA briefed them in on August 17, 2016, Trump realized that it was entirely possible Manafort's contacts with the Russians had been picked up by American intelligence, and he could therefore no longer work with him.